The demand for modern urban, intercity and long-distance buses is growing constantly, while the requirements in terms of equipment, comfort and safety are increasing in parallel. As a result, cables in buses have to perform well at all times in terms of data transmission in various applications. Because of the high requirements for the technology, cables in buses have to transmit ever-increasing volumes of data, for example for ticket machines, display screens, surveillance cameras and much more. The exceptionally strict fire safety requirements for the cables also have to be considered. These are set out in the EU standard ECE-R 118.01. In the ETHERLINE® HEAT 6722 Lapp has developed an exceptionally high performance fireproof cable that meets the new EU fire safety standard. 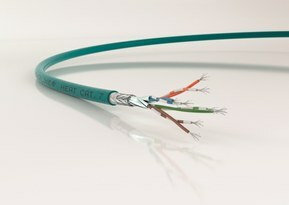 It is available in three versions: Cat5e, Cat6A and Cat7. The cables provide transmission capacity of one to ten Gigabits per second. 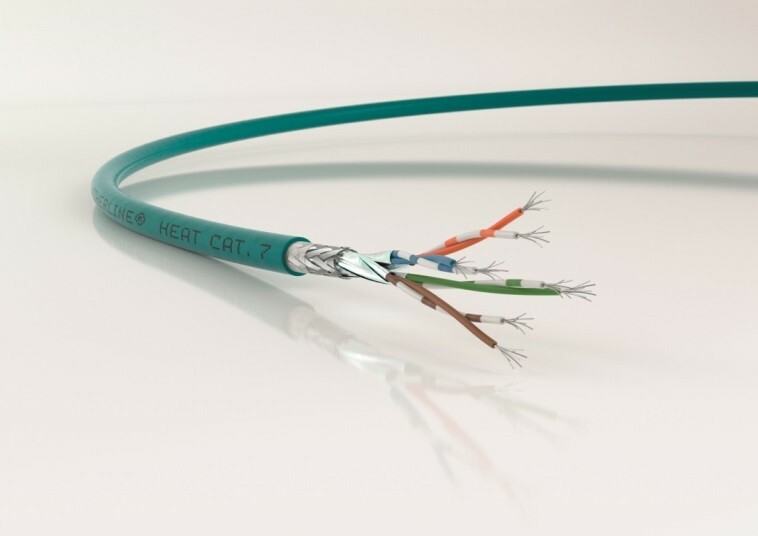 What makes the Cat7 cable different is the transmission frequency of 1,000 MHz, which has significant advantages over the 500 MHz Cat6A cable when data packets have to be re-transmitted due to interference or a loss of information. The internal construction of the ETHERLINE® cable is very complex, with its eight flexible tin-plated Class AWG24 copper cables, which transmit electrical power for smaller devices. Each two cores are twisted into a pair, as are ever four pairs in turn. Cables that have to meet special fire safety requirements are normally made of polyvinylchloride (PVC). However, as these can cause severe smoke to be produced in a fire, the industry is increasingly turning to polyurethane (PUR). PUR is extremely resistant to oil and many chemicals and is also highly resistant to abrasion and movements which are repeated millions of times. Even though the material actually has worse fire properties than PVC, after three years of development Lapp engineers have succeeded in raising it to the same level as PVC. This PUR formula has been specially produced using additives that do not represent a health hazard. Thanks to this new sheath, the ETHERLINE® HEAT 6722 meets the Economic Commission for Europe’s ECE-R 118.01 standard, which sets out very strict flame tests. It also complies with Class 3 of DIN ISO 6722, the most important standard for cables in motor vehicles. As a result, the cable is used successfully in many buses produced by EvoBus GmbH, a subsidiary of Daimler AG. On average, around 140 metres of cable are installed in each bus. Lapp has already received requests from automotive suppliers who want to use the cable for test benches. EvoBus is a leading full-line supplier in both the European bus market and globally. The first buses with the new fireproof cables from Lapp are 100 vehicles ordered from EvoBus by a European capital city.